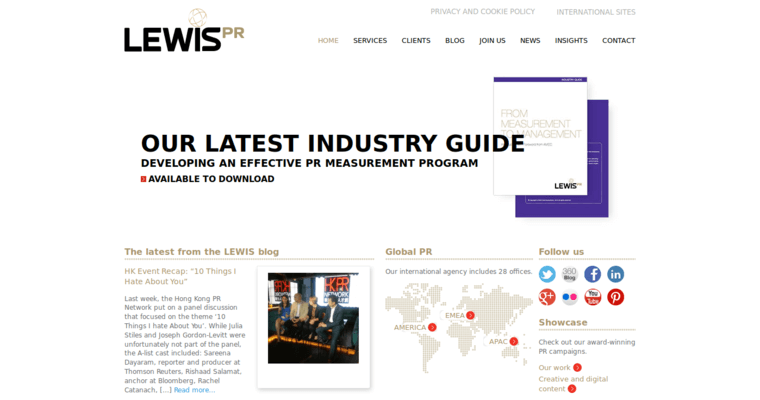 Digital PR Firm, Lewis PR, takes a precision approach to public relations, believing that timing is everything. To the digital PR firm, success is message relevancy, which drives a positive impression of a brand and demand. 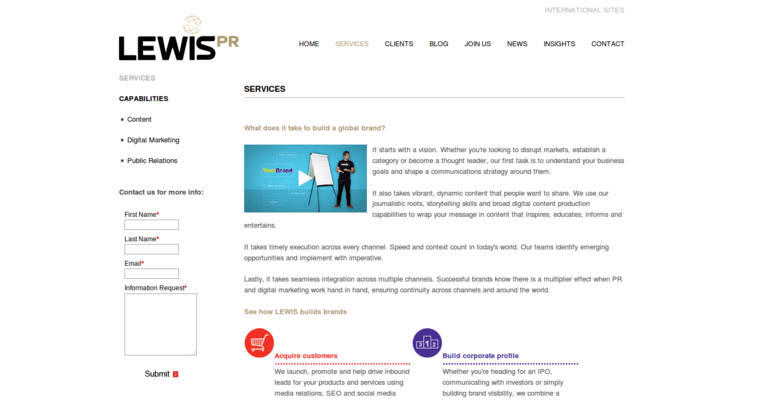 Lewis PR's clients find their multi-channel campaigns are perfectly timed because the firm uses analytics and social monitoring to decide when to release messages. The digital PR firm's capabilities include corporate communications, executive profiling, crisis communications, media relations and influencer engagement. 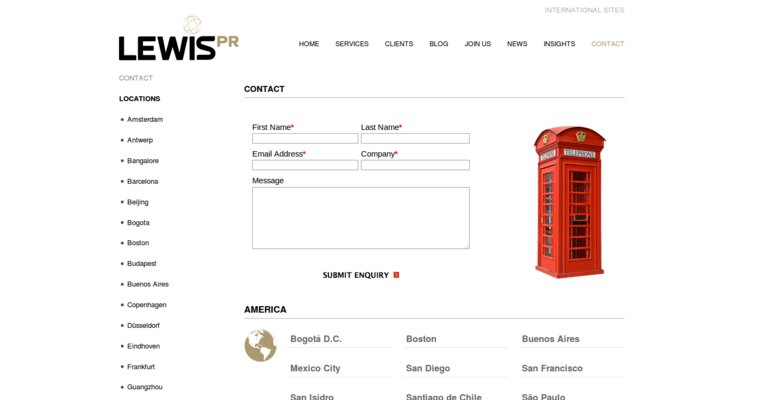 With more than 20 years of experience and 28 offices worldwide, Lewis PR can deliver global campaigns in multiple languages. They do international events management and consulting as well.